Q: I don't have any design,can you help on the design? Yes,of course we can offer professional design with over 12 years experience. Q: Are your design really free of charge? The Moq is 1000pcs, we can also produce the quantity as you need. even if you need a sticker with your custom logo, that's also ok.
Q: What type of hologram can you make? Q: Can you make the hologram sticker more security? Yes,We can make the hologram sticker with more antifake features,such as with unique number, serial number, QR code, scratch off, tamperproof, leave VOID, leave honeycomb, one time use.etc. Q: Can we get some samples before order? Yes,similar sample is available and it can be sent to you free charges,but pls help to bear the shipping cost. Q: Which format file do you need? Q: How long can I get my products? Normally the production time is 5-10 days after artwork confirmed. For custom sample is 3-5 days,for production is 5-10 days. It depends on the quantity and produce art due to the artwork. We are 100% manufacturer and can start production immediately once you order it, also can control the time besides the quality. Q: Can I receive the product without any problem? If all your shipping details with no problem,normally you will receive the products safety. You can receive the products safety with the correct shipping details. If the products losted with our problem, we will make the order free. Features: OPP bag packed in a strong carton, waterproof. Q: How can we place the order? Contact us if you need more details on Hologram Label. 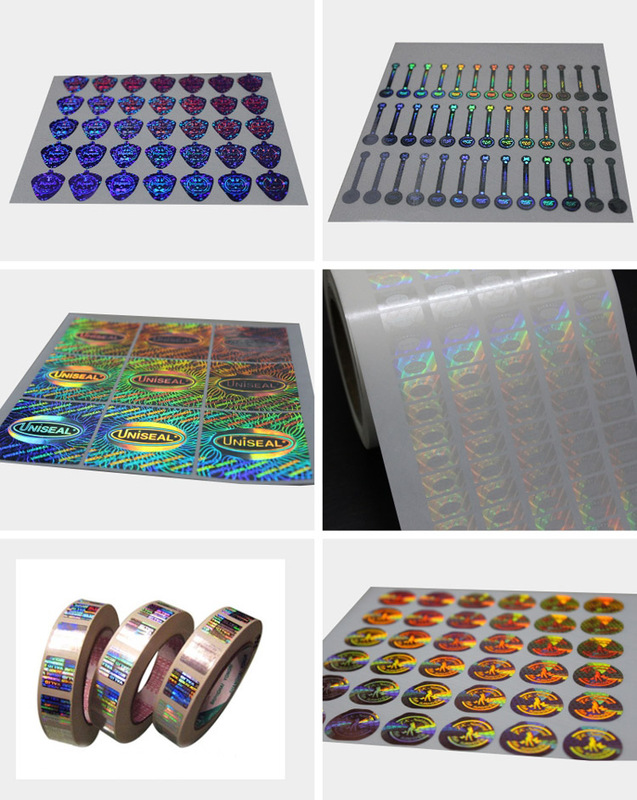 We are ready to answer your questions on packaging, logistics, certification or any other aspects about Laser Hologram Label、3D Hologram Label. If these products fail to match your need, please contact us and we would like to provide relevant information.